Today, at its Special Event, in Brooklyn, NY, Apple announced several exciting hardware updates, including a refreshed MacBook Air, Mac mini, and iPad Pro. 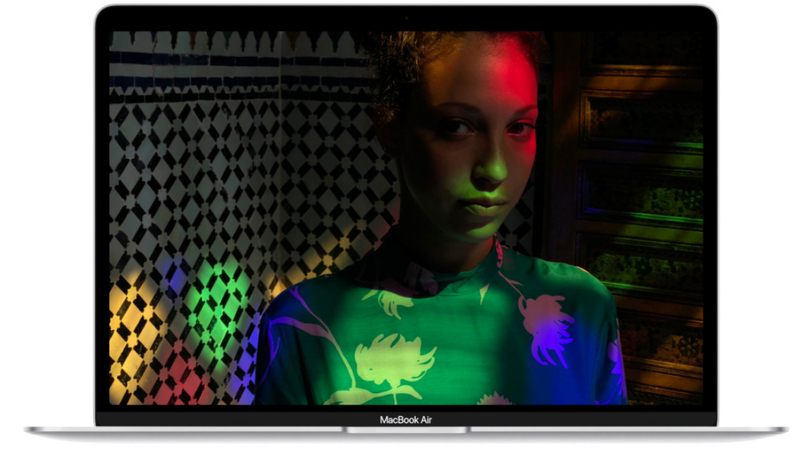 Host Tim Cook kicked things off by unveiling the long-awaited update to the MacBook Air. The new Air features a vastly improved Retina display: a 13.3" edge-to-edge screen that boasts a resolution with more than 4 million pixels and yields nearly 50% more colors than the previous generation. Touch ID is now built in and is backed by Apple's T2 Security Chip, which ensures all your SSD data is fully encrypted. Both the keyboard and Force Touch trackpad have been upgraded, the latter now offering 20% more area for multi-touch gestures and movement. Despite its 2.75 lb weigh-in, the MacBook Air houses some serious power beneath its hood, including an eighth-generation Intel® i5 CPU, up to 16GB of memory, up to 1.5TB of storage, and a battery that lasts 12 hours. The Air also comes with all the necessary wireless and connectivity options, including Wi-Fi, Bluetooth 5.0, and Thunderbolt™ 3 support. The new, thinner, lighter MacBook Air is available in three color options: Space Gray, Gold, and Silver. Mac mini fans have been rewarded for their patience. Apple's latest iteration of the compact desktop makes huge leaps in performance over its previous generation—up to 5x faster performance, to be specific. Not only that, it comes in a sleek, professional-looking Space Gray finish. Starting with an eighth-generation four-core processor, the Mac mini can handle plenty of more intensive tasks, including creative uses, thanks to a 60% improvement to graphics with Intel UHD Graphics 630. A new addition is the Apple T2 Security Chip, unlocking HEVC encoding, advanced security, and more. Revamping the thermal system helps with reliability and permits multiple units to be stacked and used together to handle intensive processing tasks. Base models are very respectable with 8GB RAM (on removable SO-DIMMs), a 3.6GHz Quad-Core i3 processor, and a 128GB SSD. The rear of the Mac mini features plenty of connectivity, with two USB 3.1 Gen 2 Type-A, four Thunderbolt 3/USB Type-C, an HDMI 2.0, and a headphone jack, as well as an Ethernet port that can be upgraded to 10Gb for ultra-fast networking. You can connect displays up to 5120 x 2880 and multiple 4K screens if so desired over the Thunderbolt 3 connections. The Mac mini can now be used for advanced professional applications, and has been given the option to be powered up. Upgrades are available to pack the tiny computer with a 3.2GHz Six-Core i7 processor with Turbo Boost to 4.6GHz, up to 64GB RAM, and a 2TB SSD. Apple closed out the event with an upgraded iPad Pro, which boasts major leaps forward in everything from screen size to performance to accessory support. 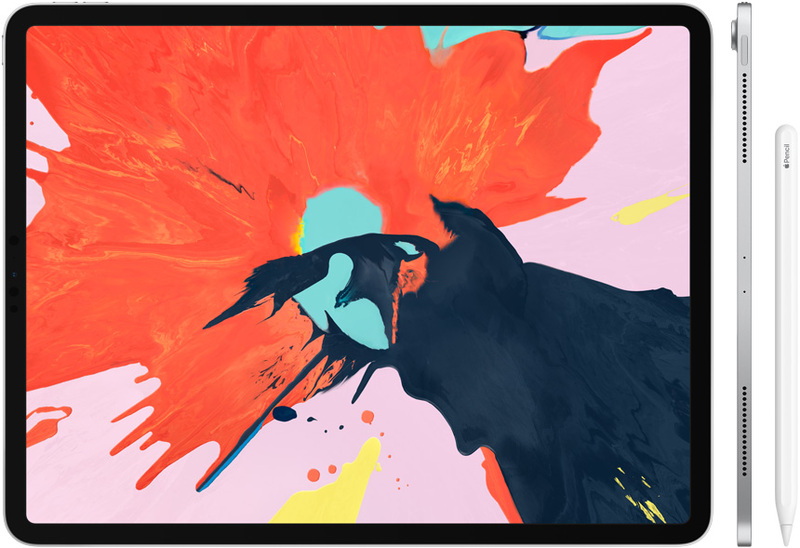 Starting with the display: the new iPad Pro comes in two screen-size variants—11 and 12.9". Both screens are edge-to-edge LCD Liquid Retina displays (the same screen technology used in the new iPhone XR). One of the ways Apple could stretch the screen out while simultaneously making the new iPad thinner, with overall less volume, was by eliminating the Home button. In its place, Face ID is now built in, as are intuitive touch and swipe gestures (a la the iPhone X). Housed inside the iPad Pro is the powerful A12X Bionic CPU, a 7nm chip that uses Apple's Neural Engine, which yields up to 2x faster graphics and can perform five trillion operations per second. Translation: it's faster than more than 90% of PC laptops on the market and can support nearly any operation or endeavor you throw at it. The Pro features two cameras equipped with Smart HDR. The rear camera is a 12MP shooter that supports 4K video, document scanning, and AR applications. On the front is a 7MP TrueDepth camera for FaceTime, selfies, and more. Another big update is the addition of a USB-C port, which allows connections to a wide range of external accessories, such as compatible displays and cameras; you can also use USB-C to charge out, so you can juice up your phone while you're working on the iPad Pro. For creatives, you can output 4K video to an external display, giving you a larger canvas to scrutinize your work. Additional accessories include a USB-C SD Card Reader and a USB-C to 3.5mm Headphone Adapter. Going forward, this universal port will provide expansion to boost the capabilities even further. The new iPad Pro supports plenty of new accessories, including a revamped Apple Pencil. The new Pencil can attach magnetically to the iPad and will charge automatically once connected. It also features customizable tap controls, a must-have feature for creators who want to switch seamlessly between functions while they work. There's also a new Smart Keyboard Folio that protects the iPad Pro when not in use and converts it to a laptop when you're ready to work. The new MacBook Air, Mac mini, and iPad Pro will be available for pre-order now at B&H.